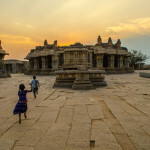 On this engaging Hampi tour we will explore the rich history of Vijayanagara empire, learn about unique architecture of various monuments, hear stories of victories and defeat. 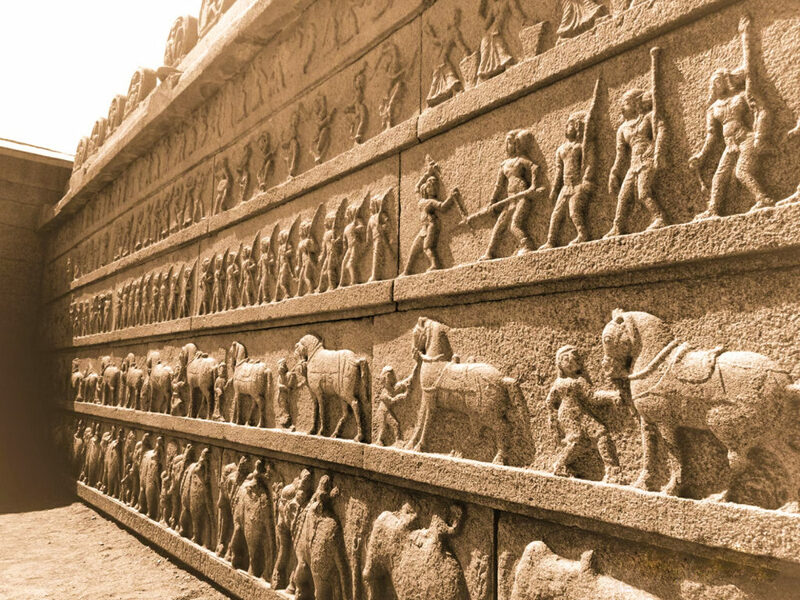 This is a tour for all history lovers. 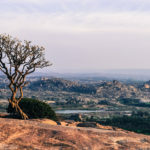 If you are looking for a well researched private tour of Hampi that covers all the important monuments then this one is highly recommended. 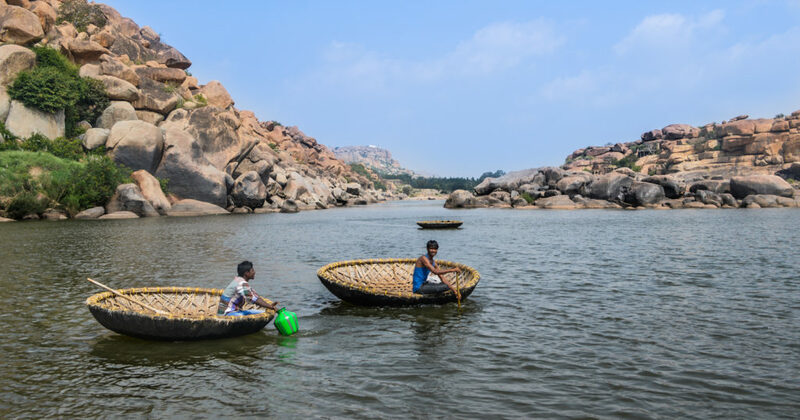 Hampi today is a protected UNESCO world heritage site, whose core zone is spread over an area of 42 square kilometers encompassing ancient temples, basements of palaces, remains of aquatic structures, ancient market streets, royal pavilions, bastions, royal platforms, treasury buildings and more. 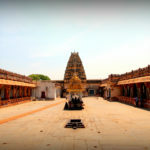 Within the core zone of the site there are several clusters of monuments, the most important amongst them are the Sacred Center, Royal Center, Islamic quarters, Kamlapura and Anegundi. 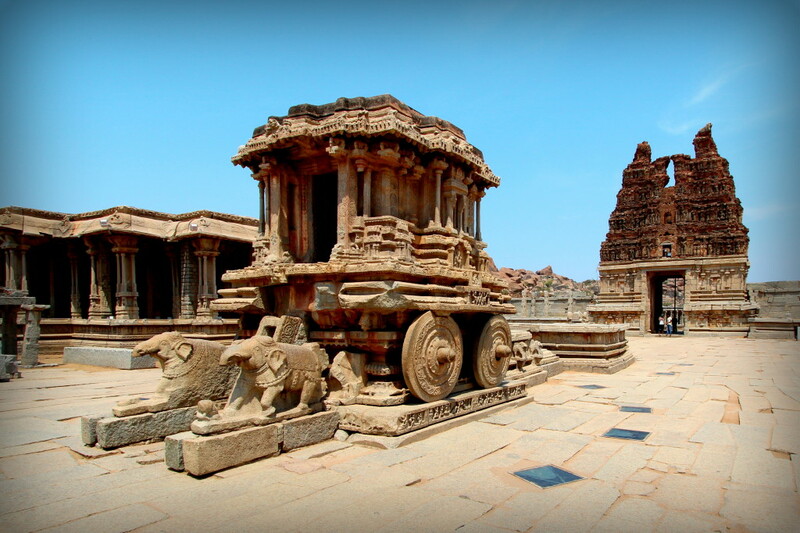 On this Hampi Tour we will attempt to cover all the important monuments in the Sacred and Royal center areas. 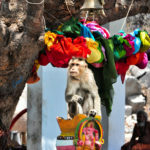 In the morning we will first cover the Sacred Center. 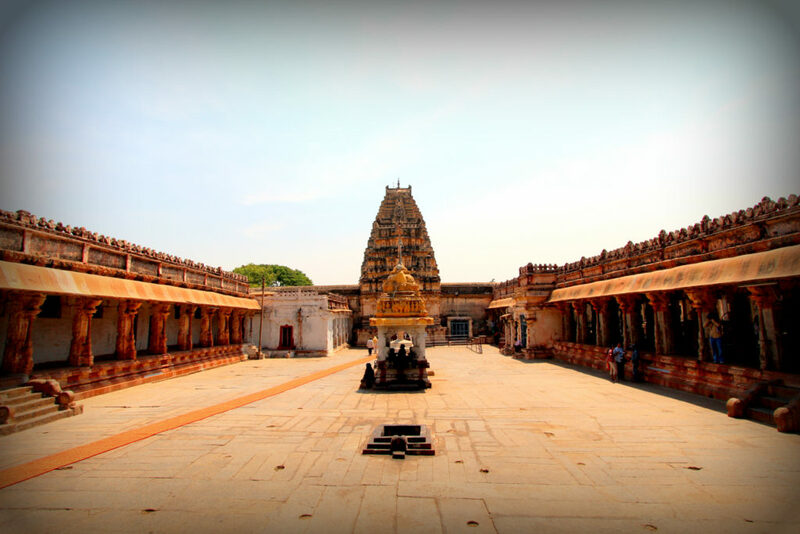 Sacred Center as the name suggests is the religion center of Hampi, a number of ancient temples and structures are in this area. After lunch break we continue our exploration with the Royal Center area. 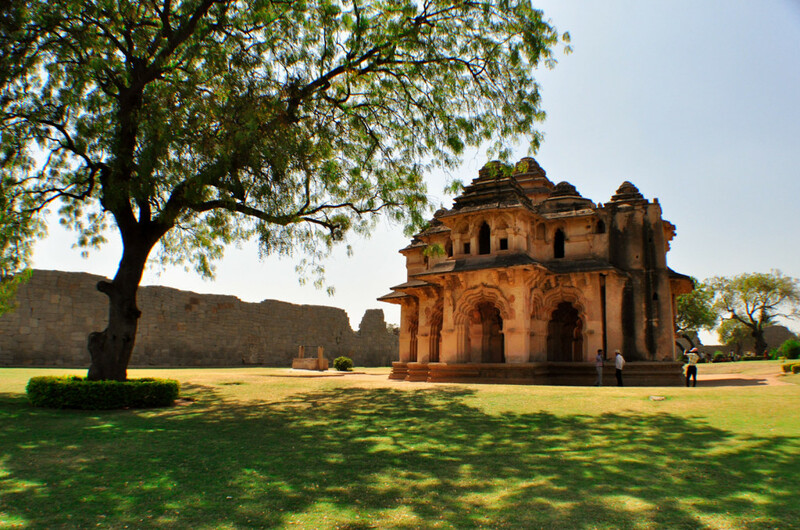 This area was the Citadel of the Vijayanagara kings, it encompasses courtly and military structures of the core zone. For children below age of 12 we offer a discounted price, for more information on this mention the number of children and their respective ages in the enquiry form. 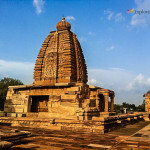 We start the tour at Vittala temple parking lot at 9.00 AM and cover the following important monument. We then take an auto rickshaw to Kamalapura where you can have lunch on your own. 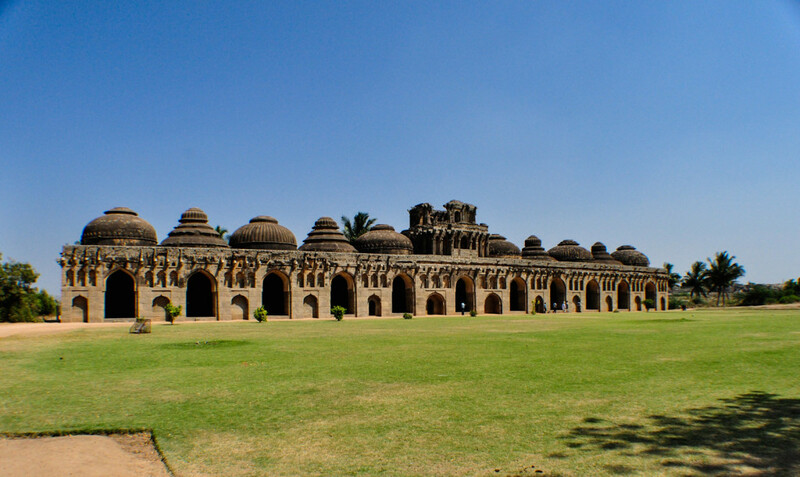 At the end of the tour we will arrange the autorickshaw to drop you to Kamalapur or Hampi Bazaar. Post sunset we visit a local family that will be hosting us for dinner. 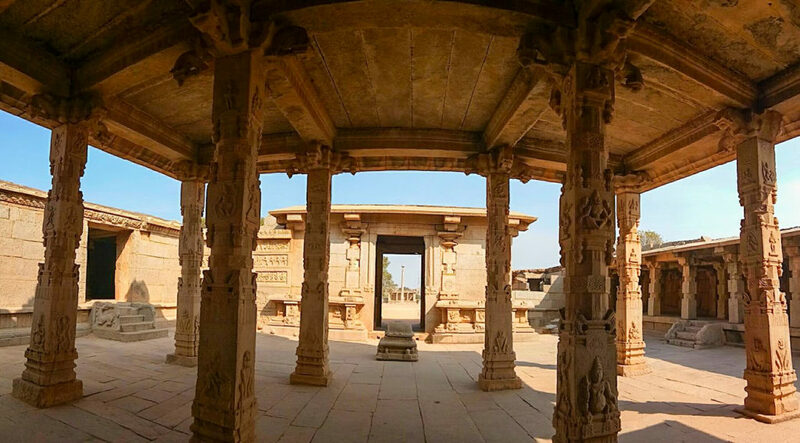 While your dinner is being prepared you can explore the surrounding village on foot. After dinner you will be dropped back to your hotel or hospete. If you prefer to move around in an air conditioned car during this tour then choose this optional add-on. It is recommended if you have elderly or toddlers in your group. Transportation - Morning half we will be only walking along river side. Post that we will be using Autorickshaws. Pickup and Drop from your Hotel is not included, you'll have to arrange your own transport for this.